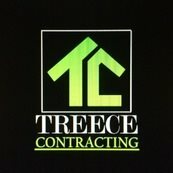 Update & Upgrade Your Home - Treece Contracting, LLC. The Fireplace needed a little character. We added brick below and shiplap above the mantel to make this the true focal point of the Living Area. We designed a hideaway mantel to house the components for the TV. The hinges are hidden within what appears to be a solid cedar mantel. The magnet catches keep the exterior of the mantel clean and inconspicuous. 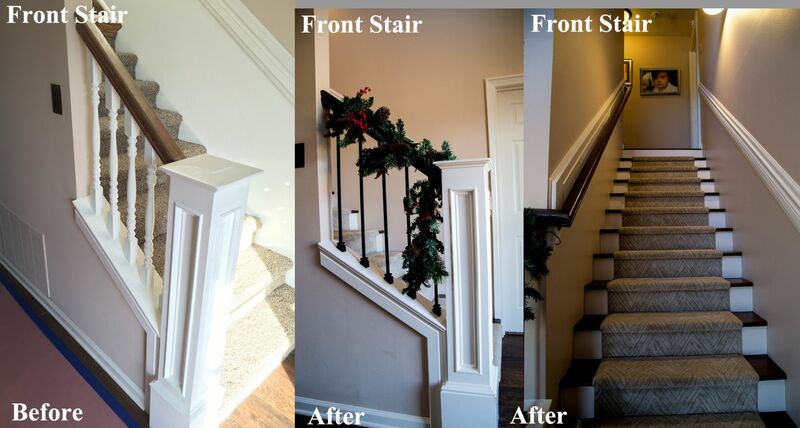 The desire to open the stairway block in the middle of the home is what originally spurred this home remodel. Opening this enclosure really changed the whole feel of the home. The stairway also received a new facelift with new wood risers and stained oak treads. We also replaced the wood spindles with black iron to update the look. A color change with fresh paint on the walls carried the new look up the stairs. Changing out the microwave/vent hood to an all wood hood always dresses up a kitchen. The open shelving and updated hardware really upgraded the design. The homeowners installed the white subway tile themselves and did a great job. The new kitchen built-in is a multi-functional cabinet with trash/recycle bins in the bottom with a hidden microwave above the drawers. 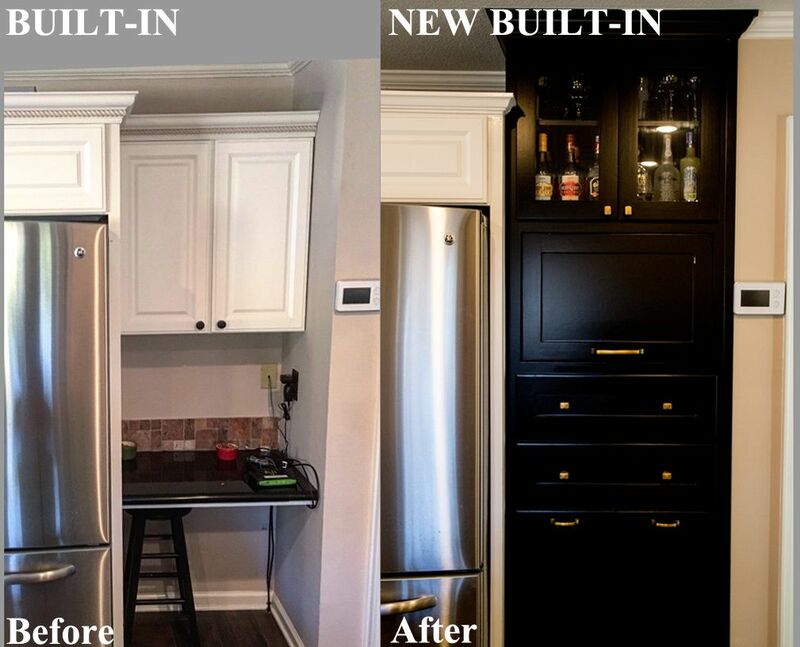 The homeowner chose a black finish to contrast the other cabinetry which made for a furniture-like appearance. We are very pleased with the outcome of this new remodel. The individual projects were each an accomplishment their own and the cohesive design brought the home together with the feel of a new home. We always enjoy working with clients with great design taste. Thank you Edwards Family!